I've a confession to make. I'm a bookworm. Yep, not just any book lover but a bookworm. Like to the point that I won't sleep until I've finished the book kind of bookworm. I read novels, educational books, and even self-help kind of books. You know the saying Knowledge is Power? I believe that reading books has helped shape me to what I am today. LOL. Well I did gobble up books like candy when I was in high school and college. I'm not that of a bookworm anymore unless I stumble upon a really REALLY good book! The Doctors' Secret to a Lifetime of Clear Skin is written by Katie Rodan and Kathy Fields two of the world's renowned experts on giving people with acne their best opportunity to enjoy a lifetime of smooth, clear, healthy-looking skin. Yes as stated at the back cover of this book, it is FUN-to-read and has a SHORT-and-sweet style. If you quickly scan this booklet, you will see 30 vital "nuggets" of skin-care knowledge that will guide you throughout your life without acne. The booklet (it is smaller than it looks on the photo!) has only 67 pages. It is a light read. In fact you would probably be done with it an hour or less. I would like to quote what Drs. Rodan and Fields said in their introduction. "In your fight against acne, KNOWLEDGE is a key weapon." So here's a small sample on what kind of "weapons" you will be stocking up with this book. The book doesn't really have any chapters. 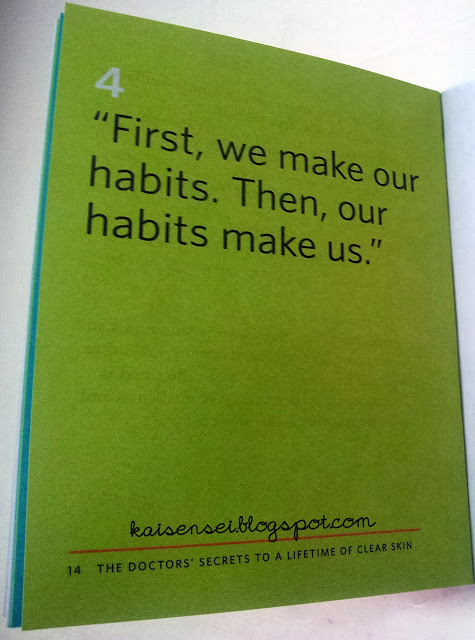 For each "Nugget" of skin-care wisdom - the book has assigned two pages on it. And it is delivered in a very down-to-earth and in a matter-of-fact tone. It is not an intimidating scientific read. Anyone can relate to it! 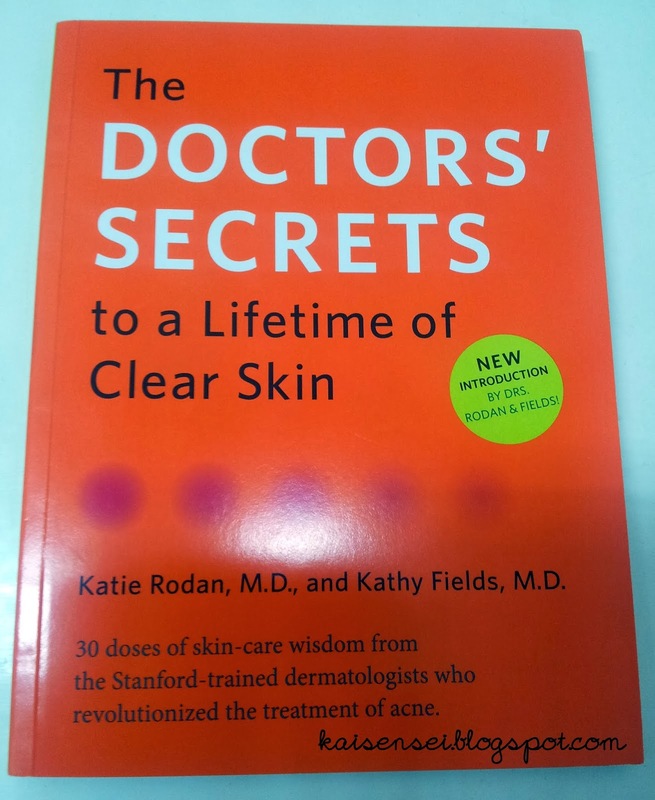 Most of the popular acne-related questions are answered in this book. Myths are also disproved. It also addresses some major concerns like what you should and should not eat. Yes my dears, you can now tell your chums and your parents that chocolate DOES NOT cause Acne. Hehe. Another thing I liked about the book is whenever a medical term is used -- it is explained in layman's terms! You have no idea how grateful I am for that. It is practical talk and easy to understand. And I'm sure teenagers would find this very enlightening! Well who wouldn't want to be assured right? As obviously stated in #14 - A Pimple is Not Simple. At the end of the book, this reassuring statement and challenge is given -- "The key to your success will be staying committed... and staying with your routine once you are clear". With all the advise shelled out in this book, it is still up to you if you will act on it in order for you to have a lifetime of clear skin. So Coffeeholics do I recommend this booklet? YES YES and YES! I've learned a lot and you will too! 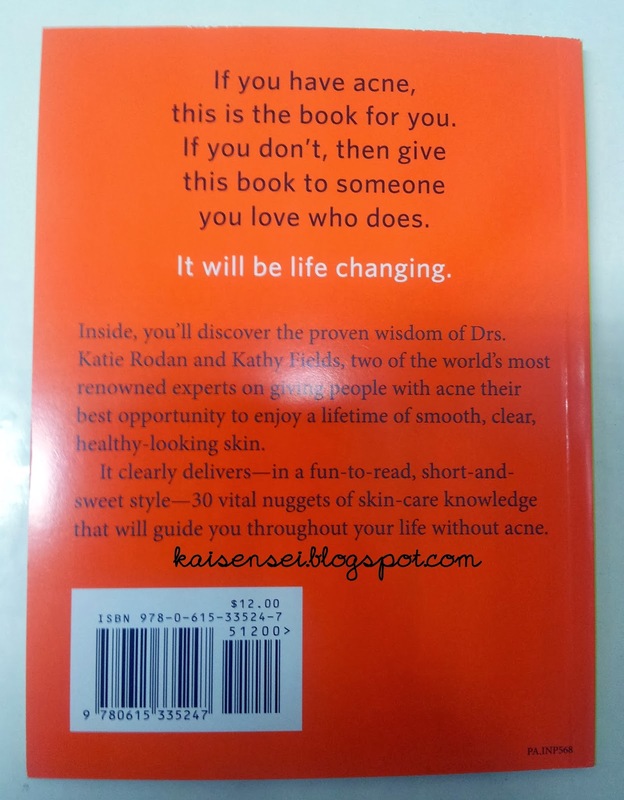 If you are battling acne or maybe have a score to settle with pimples, well this book is for you. This books is indeed life changing. And it would be a great gift for Christmas too. The Doctors' Secrets to a Lifetime of Clear Skin by Drs. Katie Rodan and Kathy Fields comes FREE with every purchase of Practiv 30-day or 60-day kit from Watsons, SM Department Stores, Proactiv mall kiosks, and Proactiv door-to-door delivery. The book is included in the kit. For more information, do visit the Proactiv Website or Proactiv Facebook.